Welcome to a new travel series exclusively on drewharvie.com! The idea is to find one highway, and play golf solely around the respective highway. But there’s a catch; you can’t stray off it too far, outside of your one chance to go off the highway (within reason). The goal is to reccomend some cool travel plans, and hopefully I can do some of them in full (note: I’ve done a few of these in parts, but never full trips. This article, I’ve driven on the 101 from Los Angeles to Bandon, Oregon and played golf). The other catch: it’s public golf–accessible for everyone! The first edition of this new travel segment is the U.S Highway 101, running from Los Angeles, California to Olympia, Washington. In total, the highway spans 2,478 kilometres, a hefty drive for sure. The highway passes through two of California’s major cities in Los Angeles and San Francisco, and along the world-renowned Oregon coast. Flying into Los Angeles Airport, you’ll head north on California Highway 1 to Interstate 405. You’ll then take the exit to get on U.S. Route 101, before exited on California Highway 23 to arrive at Rustic Canyon Golf Course, a Gil Hanse, Jim Wagner and Geoff Shackleford design that opened in 2002. The course receives high praise from architecture geeks and daily players alike, and is one of the best bang for your bucks in the country at $67 weekend rates. After your round at Rustic Canyon, you’ll head to the world famous surfing town of Santa Barbara via California Highway 23 and U.S. Route 101. 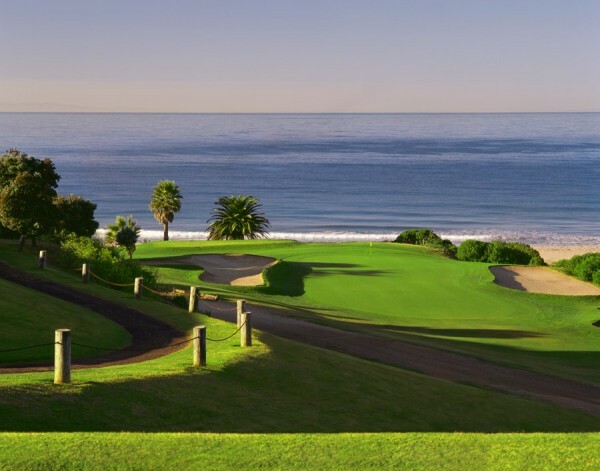 Santa Barbara is one of my favorite cities in California, and perhaps best known in the golfing community the Valley Club of Montecito, but Sandpiper Golf Club, with its cliff holes and views of the ocean, is a great option as well. The course is fairly pricey compared to Rustic Canyon at $205 weekend rate with a cart, but with views like below, it’s tough to argue. Heading up the California Coast, it’s tough to not use our one detour to head to Monterey, one of the sport’s most luxurious ZIP codes. Cypress Point, Monterey Peninsula Country Club, The Links at Spanish Bay, Bayonet & Black Horse, Poppy Hills, Spyglass Hill, and more call Monterey home, which brings us to our third golf stop: Pebble Beach Golf Links. There’s not much more you can say about Pebble that has been said, so play it on your 101 (and area, I guess) road trip! 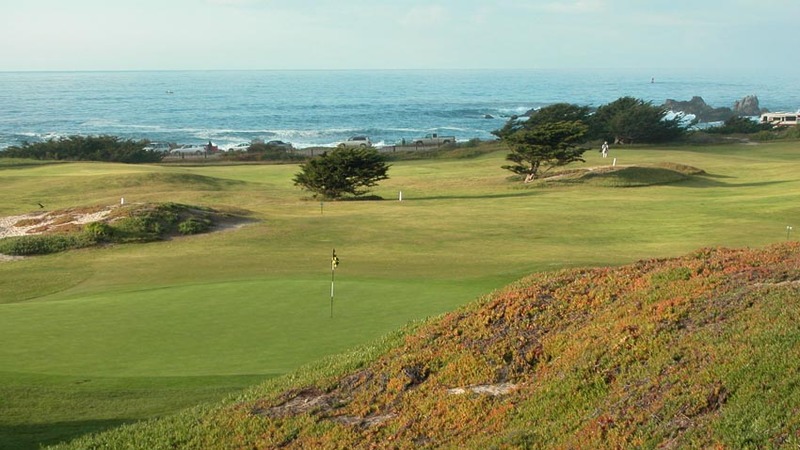 If the $495 green fee is a little too pricey for you (I don’t blame you, I’ve yet to come up with $495 myself), then Pacific Grove Golf Links is a good second option. It has ocean views and holes too, and features some sandy dunes. A best of both worlds for the price of $68. After taking a slight detour off the 101 using California Highway 68 and California Highway 1 to get to Monterey, you’ll return up Highway 1 to U.S. Route 101 to the Bay Area, where you’ll be able to get a good round of golf at Presidio Golf Course in San Francisco. $145 with a cart on weekends, the recent renovation and location make this price tag an easy pill to swallow. From Presidio, you get to cross the Golden Gate Bridge as part of the U.S. Highway 101 route, and that’s a lovely experience in itself. You pass through Santa Rosa, California, a lovely little town just outside wine country. 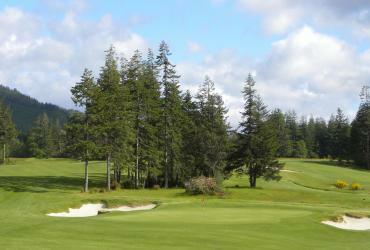 To the west, however, is Northwood Golf Club, a small little 9 hole course built by Alister Mackenzie. Everyone raves about this place, and unfortunately on my trip I did not have time to play here, but I wish I would’ve made time. It looks awesome and looks like a really good place to spend a morning. $38 for nine holes with a cart on weekends helps, too. From the Santa Rosa area, you have a eight hour drive to Bandon, Oregon, which is among my favorite drives I’ve ever had. You start in the California forest, that feels more like northern Idaho or British Columbia, then appear at the coast near Eureka, California. From there it looks like you’re in a Lord of the Rings movie with breathtaking coastline scenery. Arrival in Bandon, Oregon is also an experience. A small little town of around 5,000 people, I actually didn’t have service here, which made the experience even more real. I felt so secluded from everything, and arriving at Bandon Dunes Resort takes you to another planet. You can pick any course you like, but the one I’m going with is Pacific Dunes. If you stay at the resort, your round is $275, but if you choose to stay at an Airbnb or something similar it’s $350 in July, August and September. As an option, $140 resort guest/$165 day guest replay rate is applicable to the other three 18 hole courses on property. It doesn’t hurt to do two in a day. Of course, if you’re going to places like Bandon or Pebble, you’re likely going to play all the resort courses, but for the purpose of the trip we allotted one day total to each town. If the price tag is a little too steep, Bandon Crossing on the south side of town is $156 all day play with a cart, and is supposed to be not too shabby itself. From Bandon, the journey becomes more about the scenery than the actual golf until you get to northern Washington. If you’re craving golf on the long journey, Salishan Resort in Gleneden Beach, Oregon is supposed to be a good option for $79. From Salishan Resort you have a 7 hour, 24 minute drive to Port Angeles, Washington, which is just south of the Canadian Border, and about an hour ferry ride to Victoria, British Columbia. 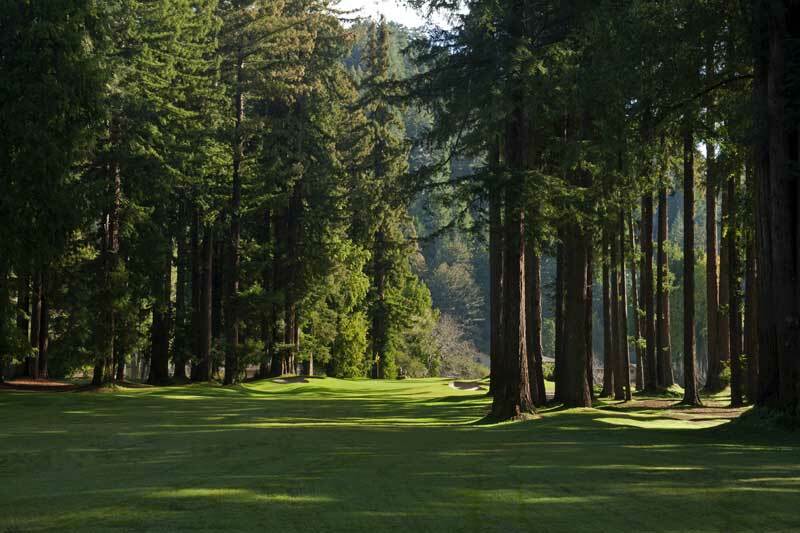 In Port Angeles lies Peninsula Golf Club, which at peak season is a cool $38 for 18 holes. The course features spectacular views, too. The final leg of the trip concludes with a 2 hour, 5 minute drive down towards Tacoma, where you’ll stop at Salish Cliffs Golf Club, a Gene Bates design that is always rated high in the state of Washington. For $110 peak season, Salish Cliffs is a steal of a deal, which includes range balls, GPS, and a cart. Disclaimer: I have played some of these courses and done parts of this trip, but haven’t done the trip in its entirety. The recommendations are based off what’s in the area, Golf Digest, friends and people’s opinions I trust and are not entirely my own opinions.